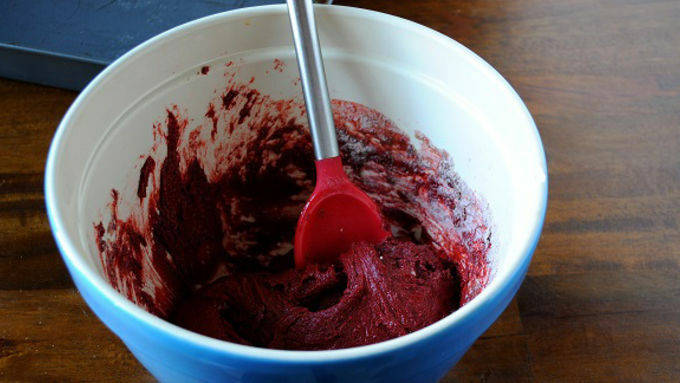 Pour the cake mix into a large bowl. Add the egg, vegetable oil, and water. Mix all the ingredients together until well incorporated. The batter will be very thick. Spread the brownies into a sprayed 9x13-inch pan. This can be a bit tricky as the batter is thick and sticky. Wet the spatula a little with water to help it spread better. Bake at 350°F for 20 minutes. Let cool on a wire rack. Take a heart shaped cookie cutter and cut hearts out of brownies. If doing large hearts you will get 6, medium 10, and small 12. 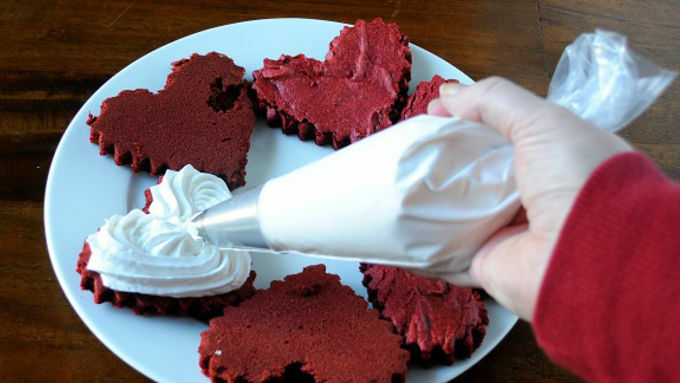 Place frosting into a piping bag (or you can just spread with a knife). Turn half the hearts over and pipe frosting on to the turned over hearts. Place the other heart brownies on top of the frosted heart. Repeat for all the hearts. 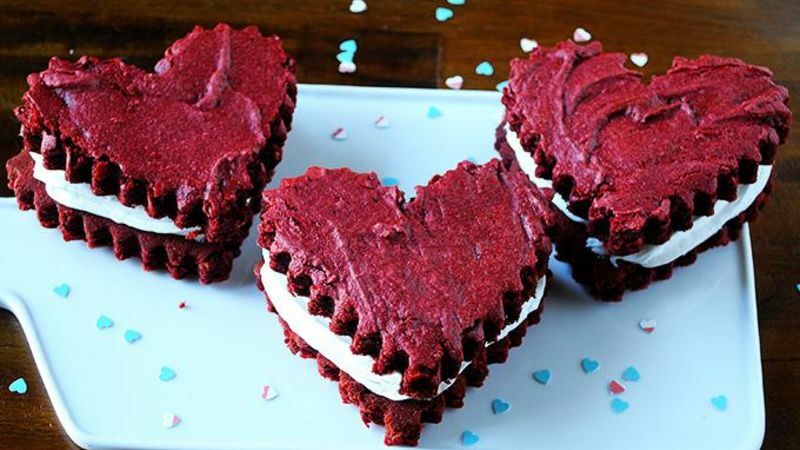 Red velvet has become super popular in the last few years – the red color makes it perfect for Valentine’s Day! 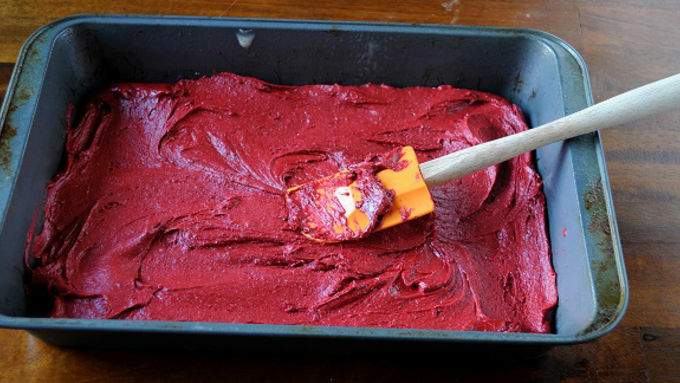 People limit themselves by just using cake mix to make cake, but there is so much more you can do. 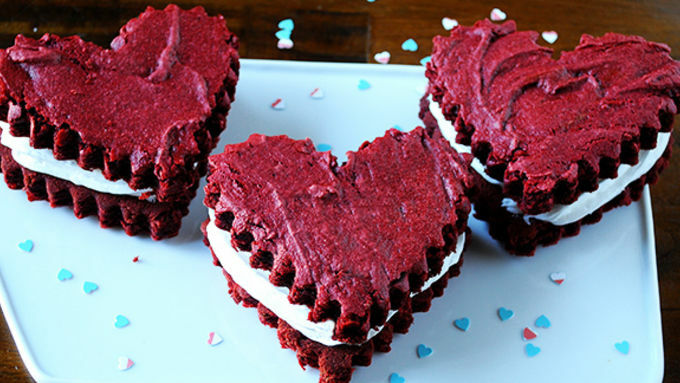 These Red Velvet Heart Brownies are a great example. 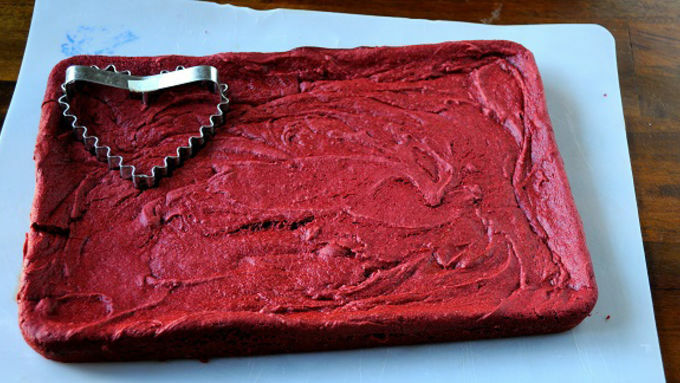 Yes, you can use cake mix to make brownies. Think of the possibilities! You can make these in a variety of sizes to please your one and only valentine – or to help you find one! Happy Valentine's Day!